Loopio's RFP response software streamlines the way enterprises respond to RFPs, RFIs, and Security Questionnaires. Why dig through past proposals, chase subject-matter experts, and spend hours updating old content when Loopio can help automate this for you. Book a demo today to find out why our customers are saying that Loopio is "The Best Thing Out There For RFPs". Pros: As a previous user of a different leading RFP software, I can say Loopio is night and day different - in the best way possible. Loopio is feature-heavy but still super simple and intuitive. Loopio makes it extremely easy for our team to keep content up-to-date, share information across teams, and respond accurately to a high volume of RFPs. Our team responds to 200+ complex RFPs each year, all done by a team of 4 full-time writers. Loopio helps us keep up with the increasing demand on our team year-over-year by increasing the speed to answer (thank you, Magic feature!) and decreasing the time it takes us to find the exact information we need. Our Information Security team also uses Loopio to respond to security questionnaires, and our Marketing team uses Loopio as a "source of truth" for up-to-date content for marketing materials and documentation. Loopio has truly become a tool we couldn't work without! Cons: Export formatting is our biggest pain point; however, this has a lot to do with preferences. I'm assuming the export formatting works just fine for most organizations that use the software, but we end up spending a lot of time making exports look better after exporting from Loopio. Still 110% worth it for the other value Loopio brings us. Thank you very much for your kind words, and your feedback regarding our current export functionality. It's great to hear that Loopio is helping you keep your content fresh and reduce your time spent answering questions with our Magic tool. That your Marketing and Information Security teams have added Loopio into their workflow really validates for us that we are adding value to your organization! We are constantly updating our features in direct response to feedback we receive from customers, and we appreciate you bringing up the difficulties you face post export. We will take this back for internal review, and discuss what can be done to help solve this problem! Comments: We evaluated several RFP tools on the market and chose Loopio for its clean and easy to use interface, ability to collaborate on projects with other members, project tracking of questions, its close loop process, how it handles similar questions/answers and the easy end-to-end workflow that it offers. Being a young startup we don't have an "RFP helpdesk", the tool needed to be easy to use by anyone, intuitive and deliver a professional looking response that represents us, the product and our brand. Loopio delivers in all these areas. As you are getting started you need to do some upfront planning to organize your library and figure out the category hierarchy and how you are going to use tags which help when searching. Loopio provides some videos to help on this and is always willing to help if you reach out to them. This is the very important step and while a little time consuming it will pay off in the long run. This process took us a few weeks to finish but anytime we had questions the team at Loopio was quick to respond. Since we started using Loopio what took us 5-6 days if not weeks to complete we can now complete in 2-3 days. It has saved us so much time and resources to focus on other areas of the business. Like any new tool you showing the value of the investment is crucial and while we certainly made mentioned of all the quick and easy work the tool provided the real value came about when those that are using it will speak on its behalf. It sells itself within the organization. Loopio has proven to be such an invaluable tool to our business that we are planning to expand the use of the tool to beyond RFPs and make use of stacks (virtual libraries) for other business use cases. Finally, get to know the team, they are awesome, timely and they care. We work closely with our customer success manager who keeps us informed of upcoming releases and how to use them and provides ongoing feedback on our features requests and potential target timelines. This tool will become a key differentiator to your organization. Buy it, you won't regret it. They won't let you down. Thank you for taking the time to provide such a thorough review of your experience with Loopio! It's amazing to hear about the many efficiencies your team has gained, and your great experiences working with the Loopio team! For the areas for improvement, many of these improvements, such as search enhancements, Magic effectiveness, and more import options, are currently being worked on. We hope you'll see even more success in the very near future once these improvements have been released! Cons: Attachments don't stay with a new answer when it comes through the Close Loop process. Overall: Loopio has been a great tool for me. In the past, my company had several different departments responding to RFP's. The quality and consistency of our responses was difficult to measure, and answers were sometimes lacking because we had to search the company for answers every time we responded to an RFP. One of the best and most obvious benefits of Loopio is having everything in one place. Answers can be used repeatedly and can be adjusted if needed. It's easy to search for what we need by narrowing or expanding the search by Categories. The many hours spent responding to each request is not a waste, but contributes to future projects through the ever expanding depth of our library. I appreciate that Loopio is very easy to use. Salespeople often contribute to answering questions. If Loopio was difficult, sales wouldn't take the time to learn it. When I give them access to a project, I give them a 5 minute tutorial and that's usually all they need to get the job done. The customer service at Loopio is definitely 5 star! They respond quickly and thoroughly. They always check to make sure they understand my question and then provide thorough instructions in their answer. They ask for feedback on how things could improve and track feedback so they know what's important to work on next. Alyssa is awesome! I am the RFP manager at my company and I am a team of one. I support all of North American and APAC sales. I couldn't do it without Loopio. I believe Loopio improves my productivity by approximately 30% vs. using a spreadsheet or other manual library system. If I get completely overwhelmed with the number of projects coming in I can always give Loopio access to sales and let them work on the document themselves. Answers remain consistent across the globe. Answers to unique, rare questions can be found in a minute rather than in days. I use the status bar constantly to see how close the project is to completion. It's simple to export a completed project into Word or Excel. Best of all, there is no problem with version control! I'm pleased with how often Loopio has meaningful releases. Several times I have made suggestions for improvement and several of those suggestions have already been implemented and released. Loopio listens. Loopio is responsive. Loopio cares about my business. I'm very thankful I don't have to do my job without it. Recommendations to other buyers: I'd love a feature that could show me when I have duplicate answers and allow me to combine all of the questions with one answer. I need a way to spread out the reviews over time for Categories that have hundreds of answers. Overall: My experience with Loopio thus far has been exceptional. The solution acts as both a RFP Management tool for real-time RFP responses as well as a repository for past RFP answers. The GUI is very clean, seamless and easy to use. The most impressive thing about Loopio thus far isn't even software, it's their customer support. They are responsive and proactive regarding any questions or issues one might have. Being the Admin of the solution, the features for enabling users or assigning users to specific tasks is effortless. Moreover Loopio provides a rich set of tools to customize individual responses or specific sections. So far we are quite pleased with the solution. Recommendations to other buyers: RFP responses can be company consuming, especially for small to medium sized companies in the enterprise space. This solution allows for easier collaboration for RFP responses, thus it alleviates a lot of RFP related stress. Like everything "Garbage in Garbage out" the initial RFP database (Library) building is the most crucial part of Loopio setup. I enjoy using this solution and I would recommend to any and all. Pros: The library search functionality allows us to easily retain and search for responses to complex, detailed proposals. This has saved hours of searching through prior proposals, folders, etc. and allows our technical editors, marketing and proposal teams easy access to current company information and up-to-date responses. Cons: Not every facet of the software that we would need has been developed; however, we have seen regular new releases with enhanced features, all of which have been significant in terms of their value for our particular uses. Overall: Loopio's customer care has been most impressive. We were guided through a simple on-boarding process, including training tools, to assist our internal teams. Because the features are so user-friendly, the training requirement on our end has been very minimal. Two components have really contributed to adoption of this platform among our teams: ease of use and library search functionality. The team we've worked with at Loopio is engaged and has an interest in how we're using the software and learning about the enhancements that would be most beneficial to us. Their customer care is accessible and reliable. They are helping us enhance a large portion of what we do every day and providing the vehicle to make that an effective and efficient process. Recommendations to other buyers: We have seen many great enhancements/developments of the software within the last year. It started out as a great tool and continues to reshape our approach to writing proposals. Pros: Very intuitive interface; our users were able to jump right in and accomplish basic tasks with little to no training. Cons: We're still getting formatting figured out. Since each RFP is different, it is a challenge exporting and then formatting certain projects. We're still working on an export template, which will help. Overall: Our Proposals department has just launched Loopio for company-wide use and the response has been fantastic. For the past several months, we have been working on getting our Library built and training videos created so other departments can use Loopio efficiently and effectively. Loopio has made it easier to find answers to questions in RFPs and has allowed us to truly collaborate on RFP projects. The customer support at Loopio is the best we've experienced. They are so responsive and took time to help us create training videos that applied to our specific users. The development team treats our feature requests and suggestions with great care and we see very useful new features fairly quickly. They are extremely open to improving the platform based on their customer feedback. Thank you so much for sharing your experience with Loopio. It's been really exciting to see the growth of Loopio at PowerSchool, and how quickly your whole team has embraced the Platform. We love hearing that our customer support is the best you've experienced - what an amazing compliment! Comments: Our team used to spend long days and nights responding to a single RFP. Much of the time was spent searching through old responses when we'd see a question and think, "I remember responding to that question. Where was that? Hmmm." With Loopio, we were able to upload every question and answer we've ever had from RFQ's, RFI's and RFP's. Now, with Loopio's "magic" feature, we can automatically match questions and answers with literally a click of the button. In our industry, it's not uncommon to see the exact same RFP from different companies. Loopio allows us to finish those RFP's in literally one hour or less! For questions that have been asked in a slightly different way (ex: What year was your company founded? vs. Which year was your company formed?) a simple keyword search brings up all the possible matches in our "library" of responses, allowing us to quickly and easily find what we need. The end result is we spend time tweaking our response to highlight how we meet individual prospects needs, instead of spending so much time writing answers to the same questions over and over. What used to take a week, now takes two days and the end result is infinitely better! Not to mention, it's easy for me to maintain control over content, so when pieced together from different SME's, the RFP response doesn't have a continuity break in writing style, format or flow. We can also maintain the database very easily. Each year, when I need to update how many years we've been in business, I simply search the database for the old number. Then, I go down the list of responses and edit each one with the new number, so we're set with accurate responses for the next 12 months. I rinse and repeat with other information that changes annually, or as needed. Easy peasy! They say the proof is in the pudding. Where we used to get excited if we were selected as a finalist in 1/20 of our blind RFP responses, we're now averaging 3/4! And, we can respond to more RFP's without requiring more manpower. I have told all my friends who work in sales or marketing about Loopio and some have signed up. They've thanked me for the suggestion. Pros: It is easy to use and new features are constantly being developed. The management team at Loopio is very focused on customer service and implementing features and functionality requested by the user community. The product has grown into a very mature RFP response tool within just the past two years. Cons: The system is very good at matching questions with existing responses, but it still needs additional development around extracting the questions from the RFP itself. This is a challenging development task and one I understand they are working on based on our conversations with their customer success team. Overall: We have been using Loopio for a couple of years and have been very happy with the functionality that it provides us. It has cut down the time required to compile and reply to RFPs by allowing us to keep a library of responses to approximately a 1000 common questions we commonly see in RFPs. Recommendations to other buyers: We looked at a number of RFP response products a few years ago and found Loopio to best meet our needs then. And it improved light years since. Comments: My company was in the market for an RFP and knowledge management solution. Our expanding sales team of nearly 75 people needed a way to quickly scale and accommodate an influx of RFXs. Not only was out team growing quickly, but so was the software that we sell. We needed a tool that would evolve with our needs. Sales: My sales experience was very pleasant. Our rep was very polite and not pushy. He offered the ability to test the solution and gave us the time needed to make our decision. I narrowed down between Loopio and another vendor. Jafar was very willing to accommodate our need for multiple demos as our approver got involved in the situation. When we made our final decision, Loopio showed a level of flexibility that helped us get the deal done quickly and smoothly. The Choice: My company chose Loopio for a few different reasons. First, the product was very intuitive and user friendly. We believed that it had the potentially to be widely adopted across our team of 75+ users. Second, the automation of the technology. We believed that the efficiencies we will gain will help us save hours every month in re-writing RFP responses. The intelligent search features and knowledge storage will help us scale quickly as our software evolves. Third, the roadmap. Loopio's roadmap was very aligned with our needs. I believe that they are building a world-class product and have throught very hard about product development and roll out. Fourth, the people. Everyone I've interacted with has been extremely helpful throughout our entire experience. From a sales perspective, Jafar helped meet all of our needs. In implementation, Zak has provided the best service in getting our knowledge base up and running. The whole team has demonstrated a commitment to our success. The Now: My team is currently testing the internal process we'd like to take with our RFPs. Soon, we will roll Loopio out to our broad team of sales reps, solutions consultants, security specialists and product managers. I feel confident that the search tools in the intelligent database, and the RFP project management features will help our team create consistently strong RFPs and save my team time. Comments: We wanted a true partner, one that could grow with our business - and that is exactly what we have gotten with Loopio. Loopio has helped our team respond to RFPs in a more efficient manner. I would estimate on average that Loopio saves us 25-50% of the time it would take to find responses. On top of that, Loopio's Magic feature helps auto-answer questions. On a recent RFP, Magic answered 200 of the 300 questions with a touch of a button. Of course, this feature will not replace an RFP person, it is still just a piece of technology after all - but it is good to knock out those easy to answer questions, such as company history. -Very easy to use interface - not "clunky" like other vendors' tools we evaluated. -Close loop feature helps streamline the process of loading data back to the library for all writers to utilize. -Extremely responsive and supportive team at Loopio. They want our input and have added a number of features we suggested to improve usability. Loopio is truly a company that will grow with us - continually enhancing their product based on client feedback. -Loading large RFPs into a project takes a bit of time - but Loopio has provided easy-to-use templates to streamline this process. -The export from the system is good, but not perfect. Still need to do some formatting on the back end before RFP submission. We are very happy in our decision to partner with Loopio. They have been a true partner and a company that has demonstrated they will grow with our needs. The product is very user friendly and continues to evolve and become better each day based on feedback from clients. Pros: This software has a robust library that improves each time you add a new proposal to it. Cons: There are a few glitches in the program, but nothing worth mentioning here. It's ideal for proposal creation/writing, but not quite as strong for proposal management. Overall: I recently joined an ed-tech company in Boston that uses Loopio for RFPs responses, and its is an awesome tool (and company)! Loopio has two features that make proposal writing MUCH easier: the "magic" tool, which automatically populates your proposal template with previous responses; and the "close the loop" feature, which adds current content to the library, making your library of content better and better with each proposal you submit. One other great thing about Loopio is that the staff is very responsive and helpful. For example, I was shipping a proposal and needed a new, custom template created by the end of the day. I simply emailed their support team, and they created a new template for me in less than two hours. It'd be pretty hard to beat that kind of response time! I would highly recommend Loopio for those who need to create proposals quickly and efficiently. In the past two months, I have single-handedly doubled the number of proposals my company submits, with the help of Loopio. Recommendations to other buyers: Loopio is different from other tools of its kind. Its unique "magic" tool makes it easy to create proposals quickly, while the "close the loop" feature updates and improves the library content with each proposal you submit. This means that the more proposals you add, the better the content gets, and the more refined you can make your proposal responses. Prior to Loopio, much of our content for RFPs was fragmented across stakeholders and SMEs. This meant that each time a proposal came in, we were tasked with tracking down responses and information stored in dozens of different places. SMEs were bombarded with the same questions time after time and we were terribly inefficient. Loopio allowed us to consolidate all of our information into a central repository, where SMEs could manage their content and stakeholders could go to find the answers to their questions. So you got an RFP. What now? - Collaborate on Dropbox....version control, yikes! With Loopio, we were able to build a process where everything happens in one spot. SME's know what questions they need to answer, administrators can easily send reminders, and sales folks can track completion to hit deadlines. The team at Loopio is amazing!! Really, you're going to love working with them. Zak is always reaching out to make the process more efficient and Alyssa in Support is always there to help, both responding within minutes of sending a request. Hi Drew, thank you for the detailed and thoughtful review. It has been a pleasure working with you and the Jiff team over the past year. We're so happy that you've been able to centralize your entire RFP response process with Loopio! Loopio has been hugely helpful to our small RFP team in keeping us organized and consistent! Pros: We love how Loopio helps us keep large RFPs organized - it is so easy to assign questions and keep track of where the RFPs are at in the completion process. It has also been hugely helpful in organizing pages and pages of information we track for RFPs. We're so glad that we signed up for Loopio when we did! Cons: There are certain features that we wish were a little more sophisticated (such as the search function and an option for creating footnotes), but the great thing about Loopio's customer support is that they are very interested in learning what their customers want to have available through the software. Loopio constantly asks how it can be improved, so while there are things that we would think could work better within the system, we feel confident that the Loopio team is aware of those items and working on our requests as best as they are able to! Hi Mary, thanks for sharing your experience with Loopio. We're so glad to hear that Loopio is making it easier for your team to stay organized on RFP response processes! We're constantly looking to improve, and feedback helps us get there. Stay tuned to our release emails for more updates! Pros: The customer service. If a feature is not available on Loopio, and it is within their reach, Loopio will work hard to make it happen, quickly. Cons: The uploading process for the projects could be easier / clearer. I just wish we could upload and export into more formats (i.e. pdf, word doc, etc.) quickly, in 1 step, and the magic tool will read it, and add any questions not already entered into the system. Loopio is already so easy to use, this is the only obstruction in this amazing service. Overall: Coasting. If I could use 1 word to describe the Loopio database and process, it would be coasting. Loopio makes the RFP / RFI process much easier with centralized data, time stamped entries, and lightening fast customer service. Hi Josie, thank for this fantastic review! It's been a pleasure working with the Czarnowski team, and we're so happy that you're COASTING with Loopio. We'd love to here more about how we can make your import/export experience better. If you have any examples, please reach out to your Customer Success Manager and we can set up a call to dive deeper. Loopio has an excellent user interface that enhance its usability for a variety of users. Pros: Loopio's biggest advantage comes through the simplicity of the user experience. We have tried other solutions that were perhaps more powerful, but Loopio has served our needs much better because the system works well for all of our employees. From proposal specialists who use the system daily to Subject Matter Experts who may only log on every few months, Loopio has drawn rave reviews. Customer service has been excellent - this is an evolving product and they really listen to their customers when it comes to adding features. The library and automation features are intuitive and aid in organizing content and proposal responses. Cons: I have very little to mention here. I am seeking a couple added features that would help in our application. Those requests were submitted less than two months ago, so I will wait and see if they eventually become part of a future release. Overall: Ease of use has resulted in our company using this program much more comprehensively than other solutions we have tried in this market. As a result, our proposal content stays more current and we will see better quality proposals in the future. Hi Jon, thank you for taking the time to review Loopio! We're glad to hear that the ease of use has helped your team keep your content up to date! The Platform is always growing and evolving based on feedback ¿ thank you for sharing your ideas! We're excited about our continued partnership. Absolutely amazed by and in love with Loopio. The best option for RFP scalability. Pros: How simple and intuitive it is. Easy to manage content as well as user access to that content. Magic is very aptly named, as it feels like magic. The new word import functionality is also basically the best thing ever! Cons: A very small and minor gripe, sometimes the library search functionality doesn't work. This is pretty rare, but some times i will search by 'exact phrase match' for a specific phrase, which i know is in a library entry, but the search will yield 0 results. This leads to a little digging around for the library entry that i'm looking for, but nothing major. Overall: Saves me hours (probably days) of work time when it comes to completing RFPs. I no longer dread the incoming RFP notification from a sales rep, and I am able to help with many more questionnaires/RFPs on a global scale. Hi Andrew, thank you so much for sharing a review of Loopio. It's fantastic to hear how much time we're saving the Solium team! We'd also love to connect further about the search challenges you're facing ¿ we'll follow up with you directly to get to the bottom of this! User-friendly and efficient proposal management software with great customer service! Comments: Our team began the process of switching over to the Loopio platform in late 2015, and while we haven't finished fully transitioning over, we can already see the value Loopio will bring to our business. Loopio allows for a truly collaborative approach to proposals. The tool makes it very efficient and easy for multiple team members to work on a single proposal, while keeping track of the proposal's process. In addition, Loopio enables our team to maintain a consistent look and feel across proposals. The platform also makes updating and reviewing content a breeze. Content review can be assigned to individual team members through the platform itself, edits are made instantly, and the edit history for any piece of content is easily available. While Loopio is very user-friendly, the automated nature of the tool still takes some time to get used to especially if you've been creating proposals manually through a program like Word. The platform doesn't work as well with image-heavy content, and there is still quite a bit of formatting required on the back-end after exporting. That being said, the customer service we've received from Loopio has been beyond excellent. The Loopio staff have been consistently responsive, helpful, and open to any suggestions we have regarding improvements to the platform. They have been willing to work through any concerns we may have, and help us understand how to adapt the tool to our needs. We would highly recommend this tool to any other businesses that produce a high volume of proposals or require an efficient and user-friendly tool for managing their proposal content. Thank you for your review, Mnrupe! It's great to see that the Loopio Platform is adding value to your business. Your feedback about formatting is also greatly appreciated, as it will continue to help us improve. Most of our enhancements are a direct result of feedback from great customers like yourself! Comments: My company deals with a large number of complicated RFPs. For years they were being managed on individual sellers' laptops and every time a new one came in it was like reinventing the wheel to engage the various Subject Matter Experts across the organization to respond. Many of the RFPs had similar questions, but the teams still had to take the time to craft answers to each question. Then we found Loopio. We hired an intern for one month and she collected and all the RFP responses we could find. Several years worth. With absolutely minimal training she was able to upload and categorize the responses into Loopio and we instantly had a library. We then enrolled SMEs for key departments throughout the company and assign them ownership for areas of the library which they are responsible for keeping up to date. Now when we get an RFP it is almost fun to create and execute the project through Loopio. The team absolutely loves it and instead of scrambling around to complete RFPs the day before the deadline we are able to finish them days early. The quality and consistency of our responses has improved dramatically, and the SMEs ensure the teams are always working with the latest information, be it financial, product, technical, etc... We have also found our Loopio library to be a great source of knowledge for our new hires. They feel empowered and don't consume expensive resources for every new question they encounter. Time to value was incredibly short and ease of use is as good as I've seen on any tool. On the few occasions we've had to reach out for assistance the customer support is prompt and knowledgeable. The team at Loopio listens and routinely offers enhancements that make the tool even more efficient. John, thank you so much for sharing this! We can only build great software with the support and feedback of our great customers. Here's to a long and healthy partnership between Loopio and Trillium! 1. Intuitive - Easy to use, little on-boarding time, clean design. 2. Import and Export - Bulk data is easily and quickly imported and exported via Loopio templates. 3. Support - Incredible timely, helpful and customer-focused. Support is thorough and helps see an issue through to resolution. Both the Customer Relationship Manager and Support Team are keen in listening to needs and offering consideration for future enhancements. Cons: Lacking in support of periods in tagging, but using hyphens instead. Would like to see increased functionalities specifically related to Excel spreadsheets. Overall: Loopio is an intuitive, solution designed for primarily for RFPs, however the main focus of our use is with Security and Technical reviews, Due Diligence questionnaires and other Security/Risk related requests. Recommendations to other buyers: You can not go wrong evaluating this product. Many other products I looked at over the past 2 years are very complex, impeding adoption. The trial was very helpful in the evaluation process. Thanks for the review Linda! We really appreciate you sharing your experience working with Loopio on your Security and Risk related questionnaires and DDQs. It's phenomenal to hear that our team has been here for you when you need us! We also want to thank you for the feedback around how we can improve Loopio for Security Questionnaires and DDQs. It's feedback like yours that allows us to keep getting better! Loopio is great for content library management and very quick production of customer documents. Pros: I love the "Close the Loop" functionality that makes adding to your library so much easier. It's easy to categorize the content, add alternative questions, update existing content with better content from a recent response, etc. Their customer support team is fantastic and I couldn't possibly ask for more of them. They are fast and creative and you never feel like you don't have the support you need. The pricing is also very competitive and is a great value. Cons: Loopio is rather new technology, so there are going to be some bugs here and there, and there are functionality nuisances at times, but they are very responsive and are always listening to their customers and improving the functionality regularly. They've made numerous improvements and enhancements since I began using the solution not even six months ago. Great to hear that Close Loop is helping you to easily build up your Library! Thanks also for your kind words on our support team. We pride ourself on providing world class support, and we're happy that it's being so well received. We are constantly making improvements to our platform, and as you've mentioned this is always as a result of feedback we receive from our customers. We will follow up with you directly to get some additional feedback on how we can make your process even easier. Easy to import questions and export answers. Improvements are made often and are impactful. Pros: Ease of use is the what I like the most. Second would be the customization of categories/questions/ and user access. Cons: Keyword matches sometimes return very off the wall answers, but those are few and far between. When using subgroups, there is no way to reflect the subgroup ended on the import. Overall: Easy, clean way to store responses for proposals and work orders. Also great way to onboard new employees by having them search for answers. Thank you so much for sharing your Loopio experience. It¿s so exciting to hear that you¿re finding Loopio so easy to use, and that we¿re not only helping you to store responses for proposals and work orders, but also to onboard new employees! Cons: Magic Wand functionality didn't meet initial expectations. Overall: Loopio is very open to user feedback and incorporates that feedback to improve their software. I have been very impressed with how often they proactively reach out to check on our satisfaction with the software and to alert of us new features. Thank you for taking the time to write a review, Chris! It's been great working with you and the IC System team over the past couple years. We have been working diligently to improve Magic based on customer feedback, and we would love to hear your thoughts as well. If you have any ideas on how we can make the feature even better, please reach out to our Support Team. Loopio has been a critical resource for our growing team. Pros: Loopio has the best UI of all the vendors we reviewed. The library as a knowledge management tool has been invaluable for helping new Solution Engineers onboard and support our sales efforts sooner. Importing questionnaires is generally smooth and now you can export back into the original document. The feature adds have been on the mark. Cons: I'd like an easier way to manage duplicates in the library and also some more obscure actions can be a little click heavy. Also would love to have a Slack integration ! Hi Nathan, thanks for taking the time to review your experience with Loopio! It¿s great to hear that you¿re loving our UI, and that the Library has been able to drive so much value for your team. We¿re also starting our initial research and design for both duplicate detection, and a Slack integration. We¿ll be reaching out to key customers (especially you!) very shortly regarding goals for the Slack integration. Any simpler would be illegal! Comments: We started using Loopio early 2015 and I'm glad we did! I guess as Loopio being a startup, I was hesitant to change from our other well established vendor who has been in the field for many years. Those fears were quickly put to ease by very product savy, technologically competent team at Loopio. While the setup was the most time consuming part (not because it was complicated but mostly because you want to make sure you upload the most recent responses), the actual usage was seriously dummy proof. We have since added 2 new staffers and all I did to train them was show them the demo video Loopio recorded for us when we on boarded. It was that simple! Their customer support throughout has been incredible. No 48 hour turn around or anything delayed when you need them. They usually get back under 3 hours with a resolution (I have only contacted them 2 times during this past year for help cause the platform is very easy to use). In terms of time, our response to RFP/RFI/ Proposal requests has gone from 3 days for a good first draft to under 8 hours (around 120 questions per request) ! Now's that some serious streamlining in your process when you think of the big picture and the number of these things we respond to in a year! Great work Loopio team! Keep it up! Loopio has been the answer to our RFP question! Comments: RFP's are so important to our company - making sure we answer all questions in a way that conveys what our company is about, what we stand for, what we offer and how we are different than our competition. It has always been a struggle making sure we answer the RFP's we receive in the best way possible, which in the past was a process of emailing documents around and collecting the same information again and again from all the key players within the company. Until we found Loopio! This software is so simple to use but so powerful. From collaboration to the knowledge base of questions and answers to the amazing 'worth every penny' MAGIC button, Loops has helped us make sure that when we answer RFP's, we are putting forward the best most recent up to date and concise responses. The time we used to spend copying and pasting RFP answers and sending files around is now spent making sure we tailor our responses to provide information that is most up to date and relevant to the prospective customer we are showcasing our product to. Not to mention I have never worked with a better more supportive help team! Loopio's support really values their customers opinions and are genuinely interested and appreciative of knowing what they can do to make Loopio even better. Gali, thank you so much for the glowing review! It's reading reviews like this that give us the motivation we need to constantly make the Loopio Platform better! Thank you for all your support and feedback. We're so happy that we're making a difference at your organization! Cons: When navigating the admin section and making edits as well as the library, the software always brings you back to the first page opposed to bringing you back to the page you left off at. Also, when searching its annoying to have to always press the filter or search button opposed to just pressing enter. Overall: I think Loopio is a great Organizational tool and the UI is easy to navigate. There are some features that were implemented in the recent months which are helpful such as the win/loss tracker for RFI's and the close loop functionality. Hi Brian, thank you for taking the time to write a review. It's great to see that you're enjoying our recent Platform updates; there's a lot more coming! We also appreciate the usability feedback. This is exactly the kind of input we crave from our customers, as it's the most important driver of our product roadmap. If you have any other ideas, please send them our way! An amazing resource for collaboration and managing RFXs. Pros: Loopio has made my life so much easier! Thanks to its great features and tools, I am able to process 50+ RFPs a year as a team of one. Cons: The only complaint I could possibly think of is that I wish it were a little easier to input answers once a document has been produced, but I feel like that issue lies more with how we as a company use the platform, rather than an issue with Loopio itself. Overall: This saves time and effort, making knowledge base management and RFX production an absolute breeze. Pros: Loopio gives us a repository of answers to questions and a way to easily (and quickly) fill out questionnaires. Our support rep, is awesome: she stays in contact with us to figure out our pain points and what they can do in the future to alleviate those pain points and time sinks. They listen to their customers and release relevant features consistently, such as the new import document. Cons: There are a few functionalities that are missing, such as being able to export into the same document that was used to import. However, they have mentioned it is something they are working on and they haven't not delivered yet on a feature they promised. Overall: Less time spent filling out questionnaires, both from trying to figure out the correct answer as well as crafting the response. Hi Jeff, thank you so much for sharing your experiences with Loopio! We're so glad to hear that you've seen value in the recent improvements. We take customer feedback very seriously, so please keep sharing your ideas. It's a pleasure working with you and the Bugcrowd team! Comments: Our company began using Loopio about one month ago and we could not be happier with the results. From the initial demo, i knew that this product was right for us, and the team at Loopio is very knowledgeable, helpful, and polite. The interface is so intuitive and easy to use, everyone on our team was able to get started using Loopio right away without me needing to explain it, at all. I was even able to get the president of our company on board and he stated that Loopio is very easy to use! The content library and search functions are perfect, especially if you have a lot of content scrambled around in files or documents. Being able to search for answers quickly and effectively has enabled us to literally double our first month of output for 2015 compared to the same time period of 2014. More bids submitted = more chances to win contracts. Additonally, being able to upload questions from the RFP directly into Loopio saves a great deal of time when it comes time to format and export. These are things that used to take a day or two to accomplish, now being accomplished in less than 15 minutes. Exporting our document into a template that we edit has saved us countless hours of editing. All in all, i would recommend Loopio to any proposal writer, coordinator, team, or manager. It couldn't get easier. Great work Loopio team! We are very happy to hear about the awesome results that you've had using Loopio! We're excited to be working with a great team and company like Value Payment Systems. Cons: Administrative overhead in import & export. We've accepted this as a fact of life that is difficult to solve, and the pros outweigh the cons. Loopio provides a focused solution, which appealed to us because of the modern user interface, and culture of the organisation. Some very basic features make it quick and easy to stay organised while answering a tender or RFP, without any legacy overhead. Response administration may increase, but it's worth it due to the automation in the knowledge-work. The simple fact that you can keep track of completed/assigned/unanswered questions is enough to want to use Loopio, but the built-in search function is icing on the cake that provides the value behind the solution. Onboarding any new process into an organisation will always require a certain level of investment in initialization and change management, and the Loopio customer success team really helped us stay motivated to chalk-up quick wins early on and set a good foundation. Recommendations to other buyers: Watch the online help videos, join a webinar Consider your internal change management, and how you are going to train your staff and reduce resistance to change in internal processes. Don't try to polish the cannonball, and get started with answering RFPs to build content. It's been a pleasure working with the Avoka team to get everyone up and running with Loopio! We're so happy to hear about the three-fold increase in productivity! That's a tremendous achievement. We'll be launching a bunch of feature upgrades over the coming months that should help your team even more - can't wait to hear your feedback! Pros: the data that you have is up to date, and also you can respond accurately when you have a lot of RFPs. Cons: when you want to export data we have to make some adjustment to make it how we want to view it. Sometimes its a pain. Pros: Having a centralized RFP database makes it easy for stakeholders across our company to collaborate on RFPs. Searching for content and adding it to existing documents is a simple process. Our account manager provides excellent support, provides proactive outreach, and is easy to schedule time with. Cons: Pricing and user management has been a struggle for my organization because we have a relatively low volume of RFPs but lots of stakeholders who need access to the platform. Our account rep has been very helpful, but unfortunately we don't have the budget to add enough users to make our usage of the tool as smooth as possible. Thanks Megan! We're so glad that Loopio is making it easier for the Urban Airship team to collaborate and find content! We're happy that increased user access is a priority, and we'll keep working with you to find the right solution for your team. We'll reach out over email to work out some options. Comments: Loopio is a very easy to use, 'intelligent' piece of software that 'learns' from your input. The searchability of the library, the feedback loop from RFP projects back into the question library, and the magic wand tool all make it stand out as being innovative and helpful. The customer service that we have received from Loopio is beyond reproach. Anyone or any company who has to answer RFP's for business can, without a shadow of a doubt, benefit and save time and money from using this tool. With that said, I do want to make one caveat clear: this is a new piece of software and just like any new piece of software it is still growing and improving. It is not perfect, but it's getting better day by day. The company has developed a culture of feedback that is very open and very receptive to their clients. If you have an idea, they will listen. I have experienced this first hand. Many ideas from clients are incorporated into their upgrades. Even though it is not 'all the way there,' Loopio still has MANY more positives than negatives and is an incredible asset during the RFP process with the product that exists today. Thanks for the review, Rob! It has been awesome working with you and your team. All of the feedback and suggestions we receive from our customers is integral to refining the Loopio Platform. Thank you for being a great partner. Pros: Being able to build a library of answers for RFPs is a big timesaver. With the import wizard, you can pull out the questions easily. Loopio will search for the answers in the library and bring up answers that fit the question. Bringing the answers back into the RFP is equally easy and the formatting is a snap. Cons: The initial setup is pretty labor intensive. It also took me a little while to understand the best way to sort stack, libraries, categories, and tags so that all the information I needed could be entered correctly. Overall: My overall experience has been good. The solution has cut the time we spend on RFPs significantly. This is an excellent solution for the business that needs to respond to many RFPS. Looking forward to continuing to do great things together. Loopio's ease of use makes a very useful tool for maintaining our database and training new users. Pros: I love the easy navigation along with the simple online step by step help documentation which enables me to shorten training content and time. And, best of all, the new user becomes productive very quickly. We're so happy to hear that Loopio is making it easier for the SIRVA team to maintain your content and train your new team members! Thanks for always providing great feedback and we're excited about our continued partnership. Loopio has helped our team work more efficiently and collaboratively. Pros: This software does a great job being able to keep content organized and easy to access for future needs. The collaboration feature has been a huge help for our team. The service is excellent with this company and they are constantly working to help add features to the platform based on the actual needs of the customers. I love being able to see the history trail of an answer and having the ability to revert back to an older version if needed. Cons: I haven't experienced any cons with this software, it meets our needs for building out our RFP responses and library of answers. Comments: After reviewing a pretty wide variety of solutions for the arduous process of managing RFxs, technical assessments, and so on, we selected Loopio because, frankly, nothing else we found really came particularly close. Unlike a lot of other solutions, which tend to be bolt-on apps to larger CRM or CMS platforms, Loopio is purpose-built from the ground up to make completing an RFP a faster and more accurate process. It also has a range of clever tools designed to make the tool's ability to find vetted answers to RFP questions more effective over time with use, a nice system for automating review cycles of Q&A library material with internal subject matter experts, and increasingly robust support for a variety of roles. Beyond that, the Loopio team are exceptionally attentive and responsive to feedback, they're great to work with, and they are iterating very rapidly. The product is already substantially better than the one we were so excited to select a mere 6 months ago and it continues to improve. Thanks for the review, Barry! We are looking forward to all of the improvements to come. We have only been able to get to where we are today through the feedback and support from our awesome customers like Hearsay. Comments: We've been clients of Loopio for about a year now. Initially it only had part of the functionality we were looking for, but over the last year they have been awesome about listening to what else we were looking to have to actually built out RFP's within their system, and have built out the majority of that functionality at this point. Thanks so much for adding your Loopio review! It's great to see how we've been able to grow and evolve to meet your needs. We know some of the features you requested such as Subsections, Copying Project Outlines, and Multiple Export Templates, are now available in the Platform. We're so glad we've been able to tackle most of your feature requests. We definitely aren't stopping there. Your request about attachments improvements is one of the top priorities for our team. When these improvements have been launched, we'd love to hear your feedback! Comments: We are still in the early stages of fully integrating Loopio into our RFP process but I have been very impressed with what I have seen so far. The software is the best in terms of the user interface than anything else we tried out. We have found Loopio extremely intuitive, easy to learn, easy to train others on and easy to navigate. We found the review cycle feature to be exactly what we needed. Loopio support has been very helpful whenever I have had questions. They worked with me to come up with a licensing arrangement that worked for our users. They have also been very open to feedback on their system. The reason I gave the software a 4 is because there is some functionality (advanced search and multiple libraries) that they haven't implemented yet that will really move them to a 5. Both of these features are being worked on currently and are expected to be in the next upgrade so I can't wait for that to come out! Overall, it's a good software platform and Loopio is a pleasure to work with. Thanks, Lindsay. It's been an absolute pleasure working with you and the Hill-Rom team as well. We'll try our best to earn that fifth star! Comments: Choosing Loopio for our RFP processes was easily one of the best decisions. We were looking for something that was simple enough to use but still had all the functionality we required. To say we found that with Loopio might be an understatement. The ease in using the system is great and it's all packaged in a clean and simple look. There is no convoluted way to do anything with the software and our team has been raving about the functionality. An easily accessible Library is one of the key proponents of what we were looking for and Loopio's fits the bill. The Review Cycle is an awesome feature as well that helps us in ensuring content is reviewed properly and by the correct person. Although there was some hesitation at first with using a smaller company that was just starting out, Loopio allayed those fears and the customer service is great with solving issues and keeping you up-to-date with upcoming releases, even with taking suggestions! Thank you very much, Arun. We're so glad that the Shred-it team is enjoying their Loopio experience. Please keep your suggestions coming! Pros: Preset response templates make it very easy to give a response to customers and with just little modifications you can convince them. Comments: After much careful review of the options in the marketplace, my organization selected Loopio as our RFP solution about six months ago. It has been a lifesaver. What was once a time-consuming manual process to compile and produce RFP responses is now becoming a streamlined process with consistency, continuity, and clarity. Not only is the functionality intuitive and user-friendly, the support staff is amazing. The people at Loopio are responsive, understanding, and dedicated to solving customer problems. I have been thrilled with our choice. Thanks Loopio! It's always an absolute pleasure working with you and the MDLIVE team. It's fantastic to hear that the experience has been mutual. We love that we¿re helping you streamline your process, and are excited to continue doing so! Comments: Loopio is a great product. It is intuitive, powerful and gets straight to the point. Above all, the efficiencies and time savings by adopting this product minimize nuseful administrative work in maintaining a library, answering repetitive questions and formatting projects, and allow us to focus on delivering real, valuable answers to our clients. The collaboration and reminder aspects of the software are also excellent. As a company, they have a responsive, creative and open minded management and operations teams. Their product is ever elvolving with additional useful features and refinement to functionality, that is never jarring and feels organic. I cannot recommend Loopio enough. Great company, great product. Very happy to have adopted this solution! Hi Rod, thank you so much for your review of Loopio. We're thrilled to hear that we've helped the Destiny Solutions team focus on delivering real value to your clients. This is one of the core goals of the Loopio Platform! Looking forward to our continued partnership. Comments: Loopio has everything we need and nothing we do not need. It is elegant, simple, and intuitive to use; not bogged down with overly technical features or too robust functionality. The price is spot-on as well, since really you don't need a complex product to manage your RFP database and projects. If anything ever comes up that I don't know how to use or envision would be nice, I will submit a quick request via the embedded "help" icon and I get a reply from the team within a day, if not immediately. They are clearly listening to the their clients because the few enhancements I've seen in my short time using the product are excellent. I've been managing RFX responses for our company for over 6 years, and Loopio is absolutely the best tool I've come across. Thank you so much for the kind words, Brittany. We're so happy that your team has been finding our product enhancements valuable. 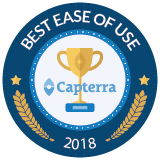 There's no way we could do it without the great feedback from Optymyze and the rest of our customers! Loopio makes my job easier & me a happier RFP writer every day! Comments: I have been a proposal writer for 8 years and I've used all the major software solutions out there. Loopio is unlike any other option available - from the user interface which is bright, fresh, easily navigable and highly intuitive to the features and tools every writer needs, it makes my life easier on a daily basis. I actually ENJOY updating our content library because it's fun and easy. I have never had so much success finding what I need quickly when I'm working on a project in a pinch. Loopio allows me to set automatic review cycles and designate responsible parties so I can delegate the work of refreshing our content to others. Customer support is impeccable - the staff is extremely responsive, knowledgeable and appreciative of our business, despite the fact that our company isn't huge. I have recommended Loopio to many writer colleagues and will continue to do so for a long time. Comments: I spent a lot of time trying to find an RFP management software that would work for us. We needed the ability to log Q&As and update frequently. Loopio was the best by far in managing your Q/As and with the ability to automatically remind people to update their answers, its saved so much time and headache for us. The bonus feature was the Project functionality where we can upload our RFPs and use the "magic" button to find similar questions to use those answers. That also saves a lot of time and allows us to put a better proposal forward to our clients. Every time I've had a question about functionality of the tool, they are always very quick at responding. There are a few features that I would like to see, but I know from our discussions that most are on the roadmap so I am confident in working with this company for the long term. Setup was super fast, very easy to use, could be better if the import template was more flexible. Comments: My colleague and I had a contest. I used Loopio and he used his massive Word document to complete the same RFP. I was done in a matter of hours (while answering emails at the same time) while it took him at least a couple days. For very simple RFPs with just a running list of questions, it works perfectly. But, for more complex RFPs, it takes a bit more manipulation. My primary suggestion would be to make the question import template (when completing a new RFP) a bit more flexible. We often deal with RFP with multiple levels or questions ('If yes, then...'). Thank you, Jenna! I hope we helped you win a bet of some sort in the process ;). With regards to RFPs with multi-part questions, we are working on a feature right now that will make this process super simple for you! We've noticed that many companies often receive these "compliance" type questionnaires, and we're going to make sure Loopio fits the bill! Please reach out to us if you want to talk about this in more detail. Comments: Loopio has improved our response speed with the organizational and new library stack features. This gives us back valuable time to review with key stakeholders and present a polished proposal. Thank you for your review, Jonathan. It's been a pleasure working with Pinnacle Group. We're really pleased to see that you've been able to increase your response speed with Loopio! If you have any feedback on how we can make the Loopio Platform even better, please let us know. Comments: We're delighted to recommend Loopio as an outstanding RFP library/proposal engine. We've been using the system since September 2014 and have been thoroughly satisfied with it. In our pre-purchase evaluation we found it to be every bit as powerful as products that were significantly more expensive. The team at Loopio provide outstanding support and welcome feedback. We utilized their migration services to take a large volume of very unorganized RFP's and put them into a useable format within Loopio. Loopio serves our worldwide sales force and ensures we provide a consistent, up-to-date response to highly complex RFP questions. Thanks, Greg! We're so happy that we're able to support your worldwide sales force. Your team has also been an incredible source of feedback for our Product team. It's a pleasure having HX Global as a customer! Overall: We have loved using Loopio - very intuitive and virtually no learning curve. Also their customer success process is very helpful and keeps us up to date on new features and releases. Would recommend this product to anyone (for reference we're a 400 man company). Recommendations to other buyers: Just the library feature alone has made a huge difference in our RFP process. Hi Scott, thanks for the Loopio Love! It's great to hear that the Loopio Library is making a big impact at Infinisource. We're looking forward to our continued partnership!